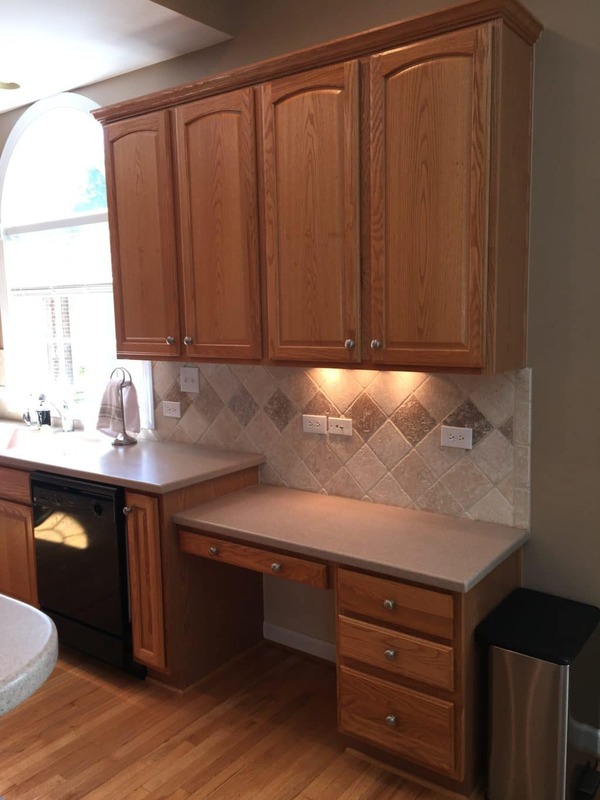 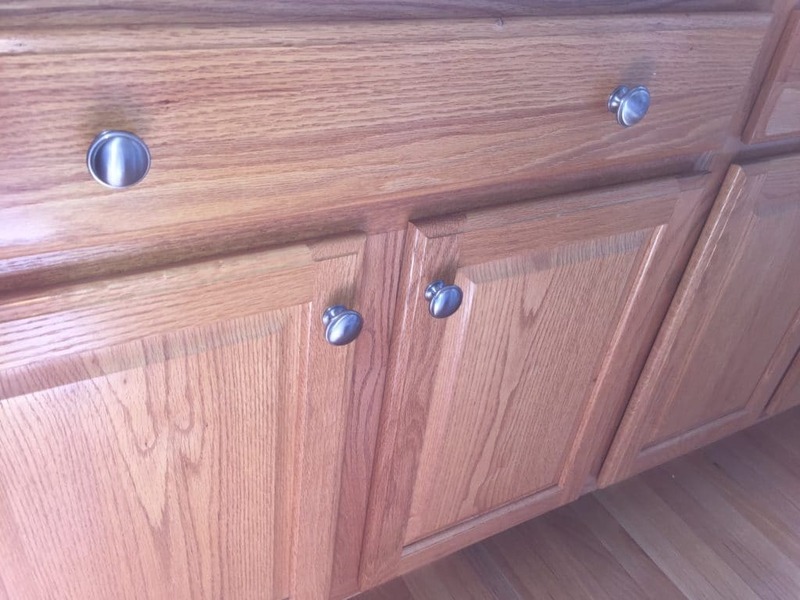 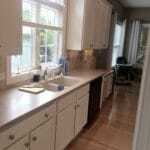 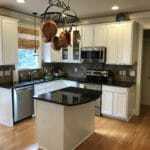 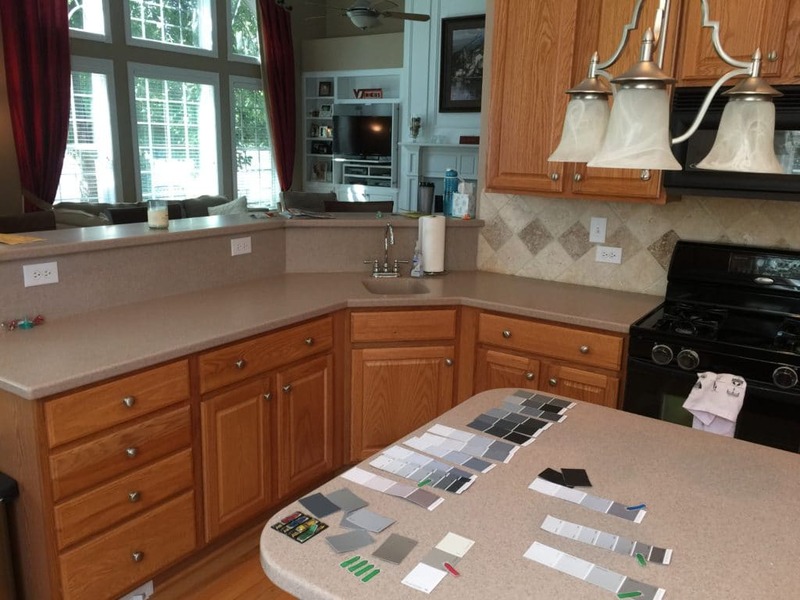 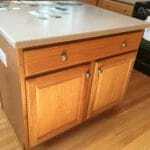 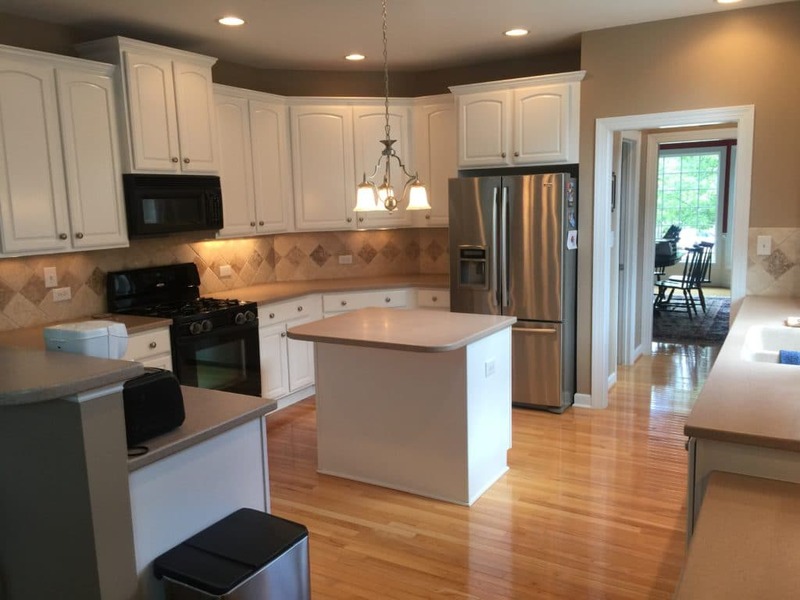 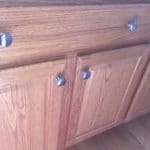 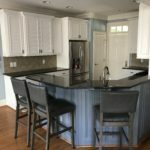 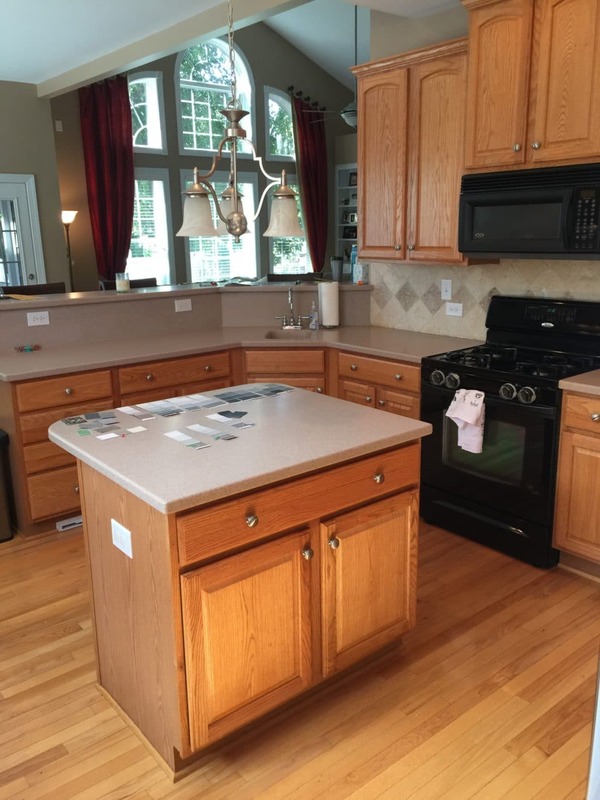 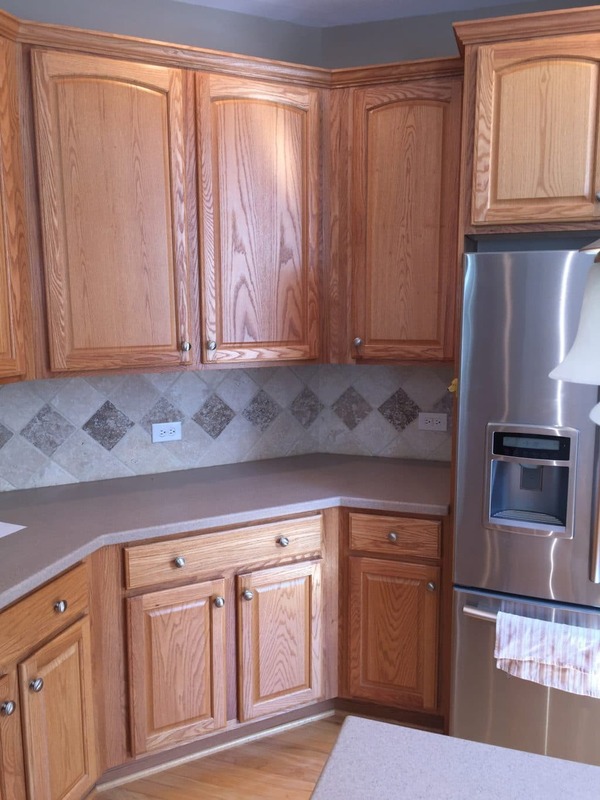 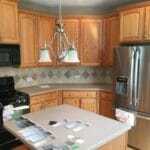 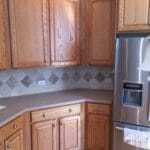 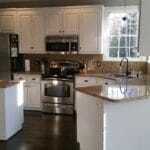 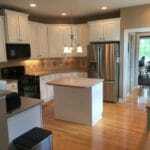 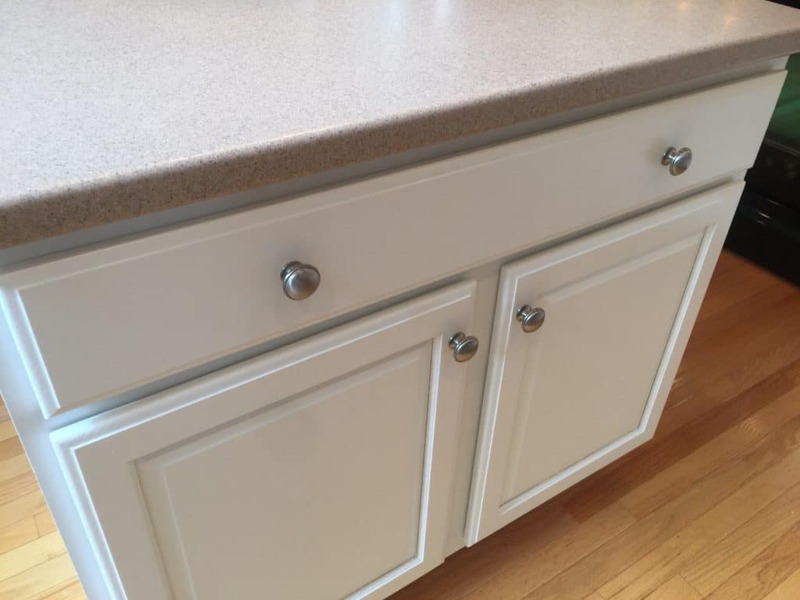 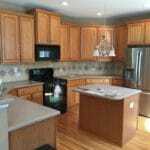 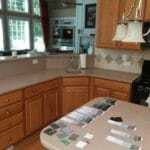 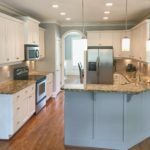 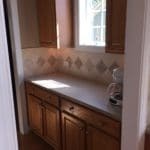 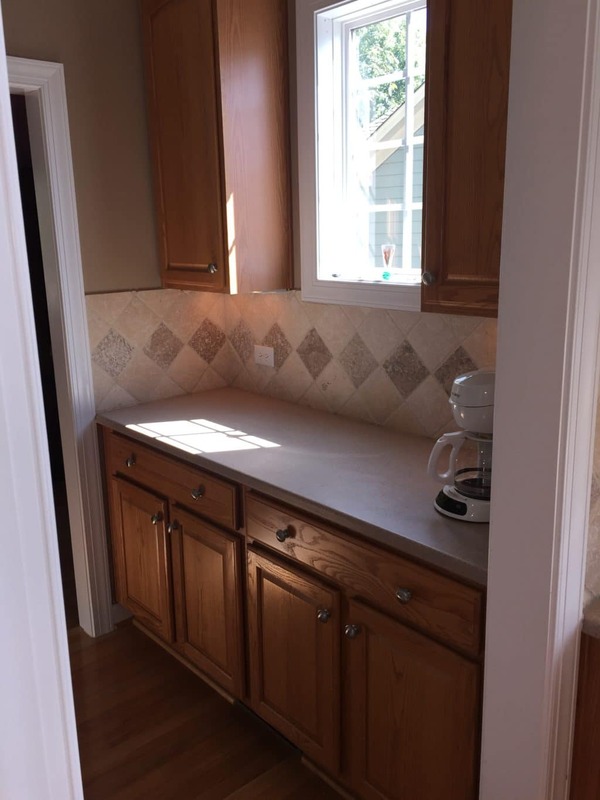 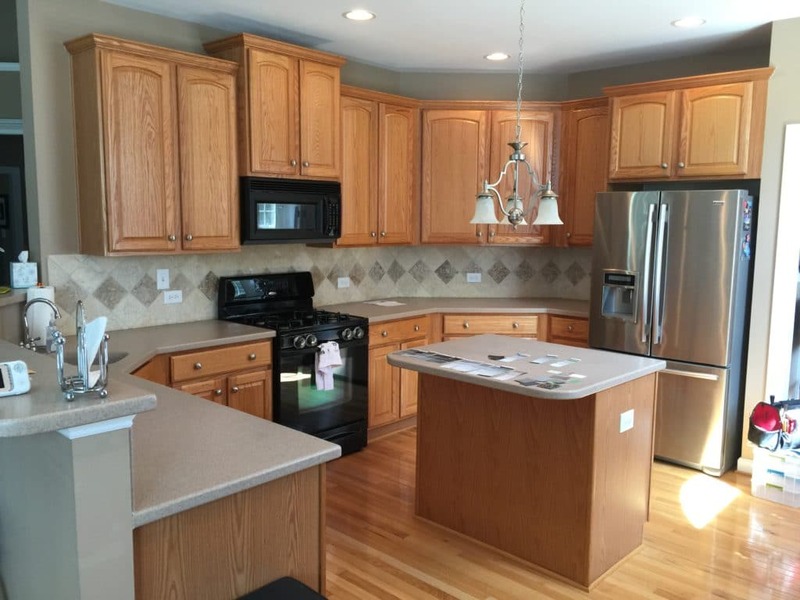 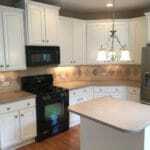 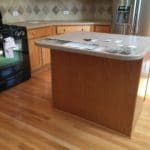 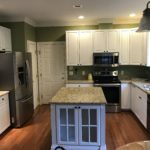 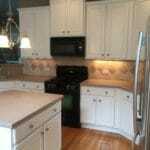 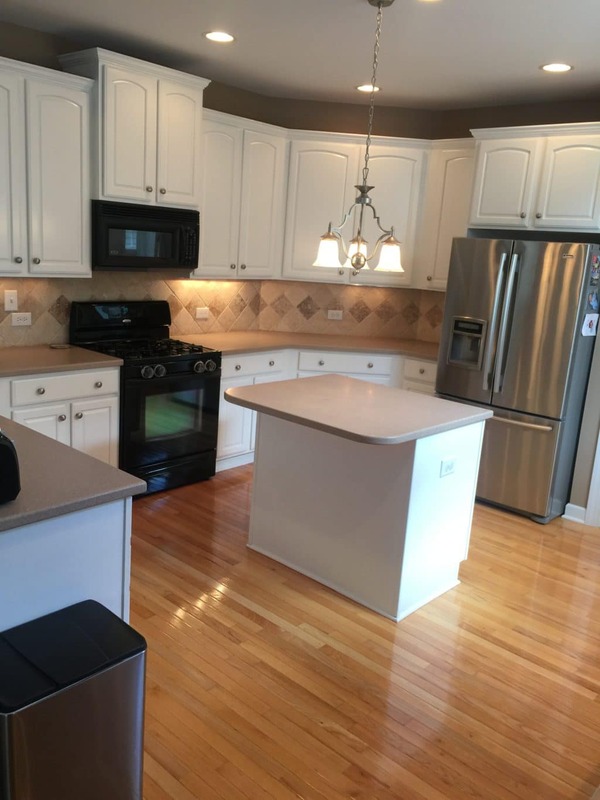 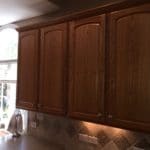 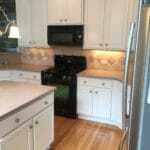 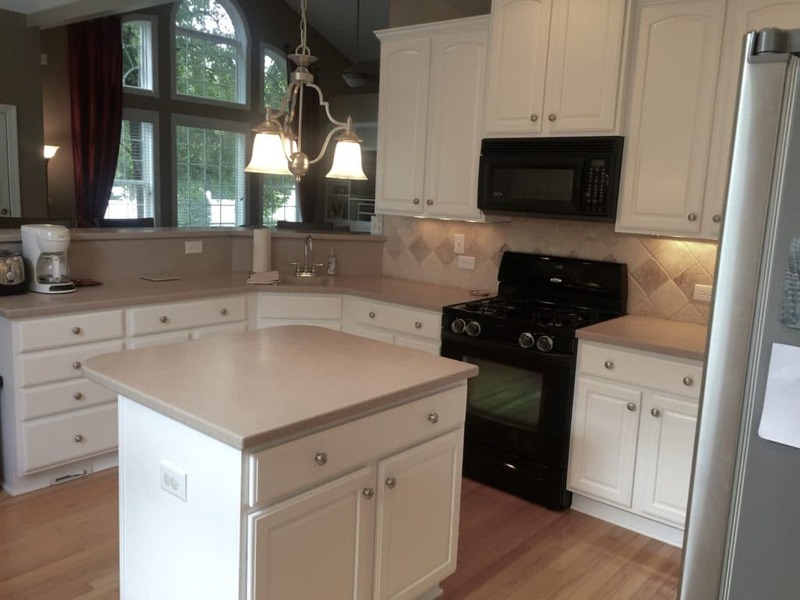 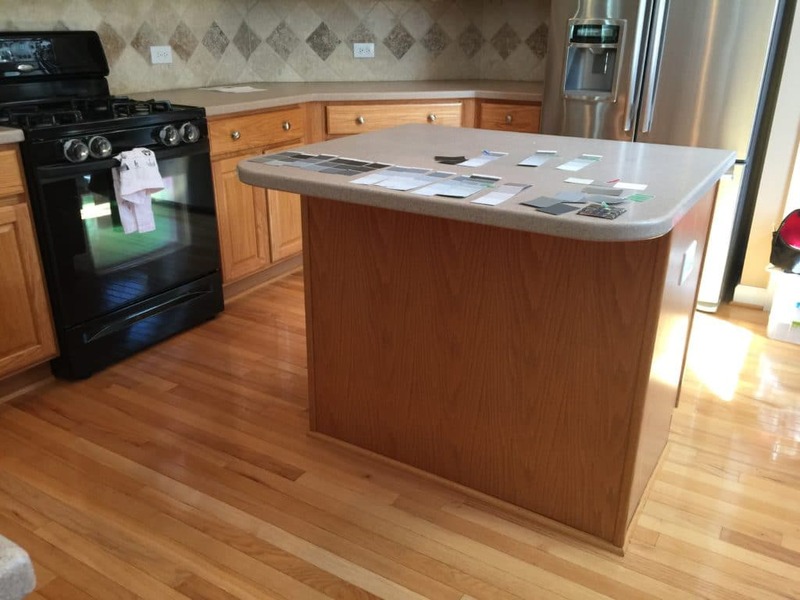 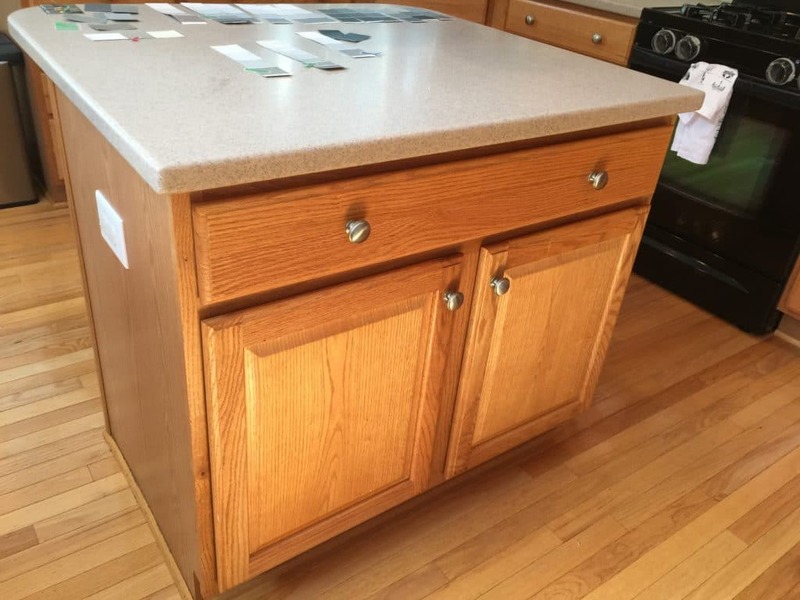 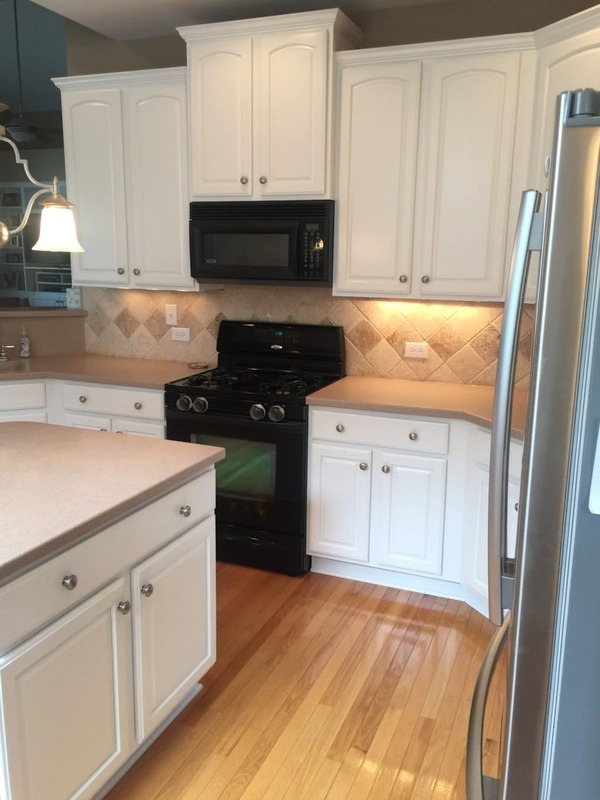 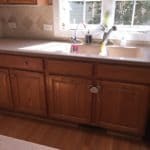 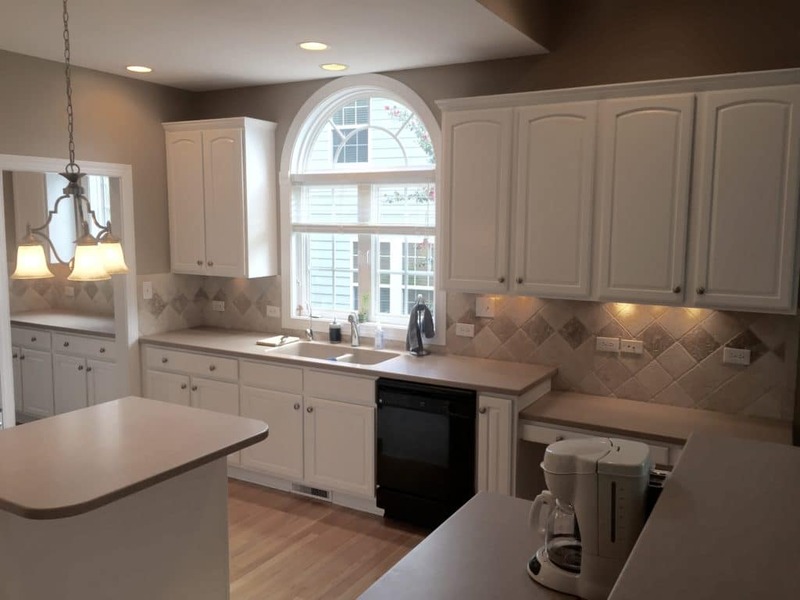 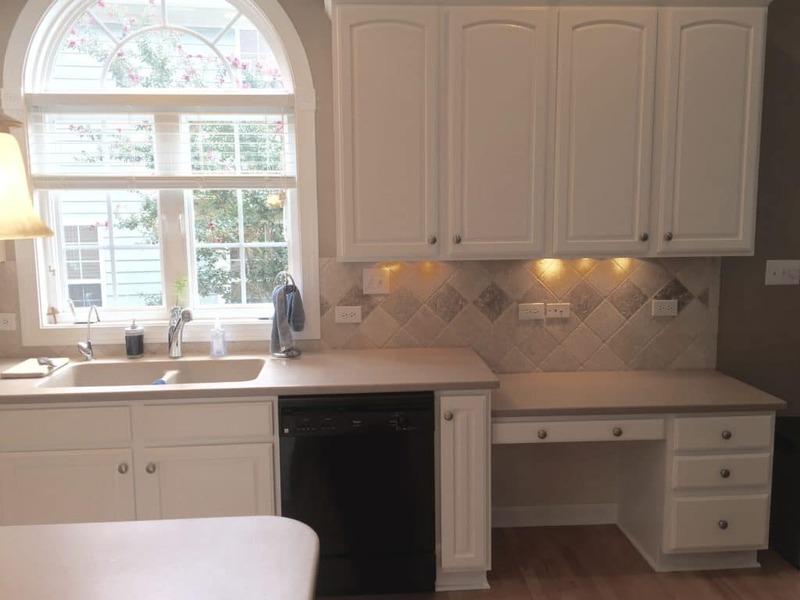 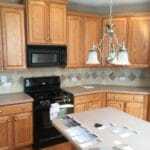 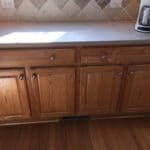 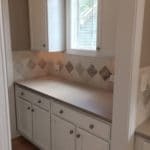 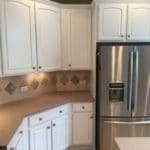 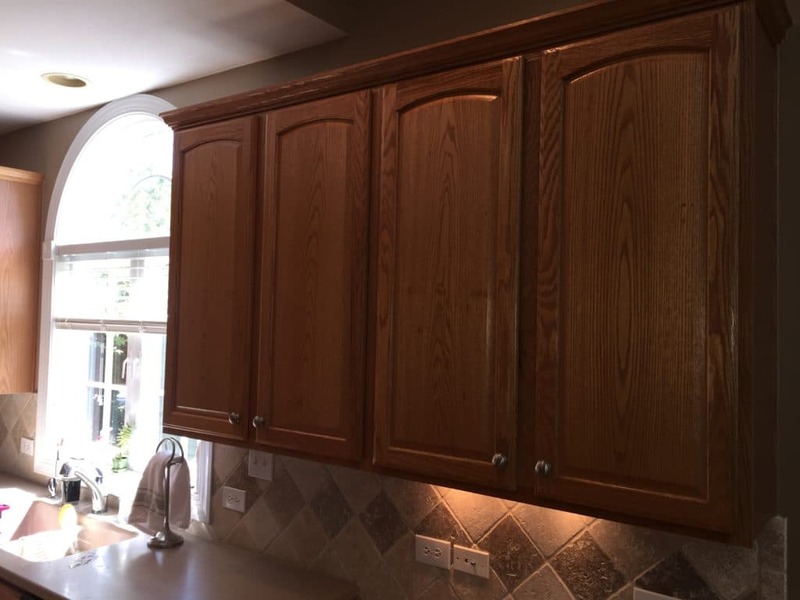 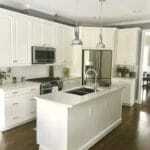 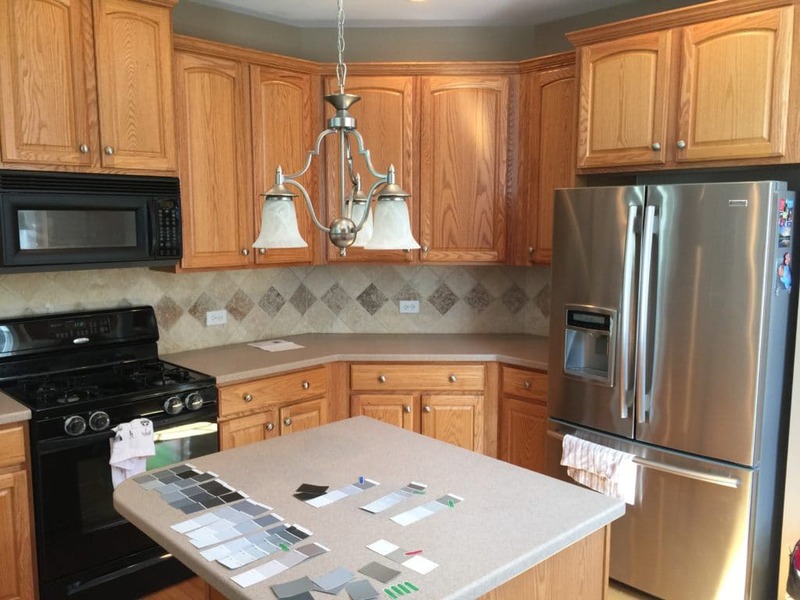 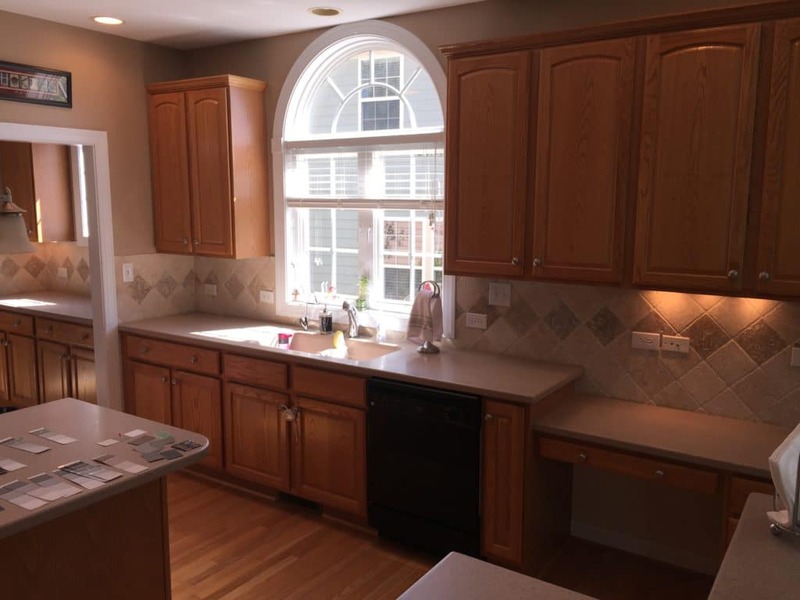 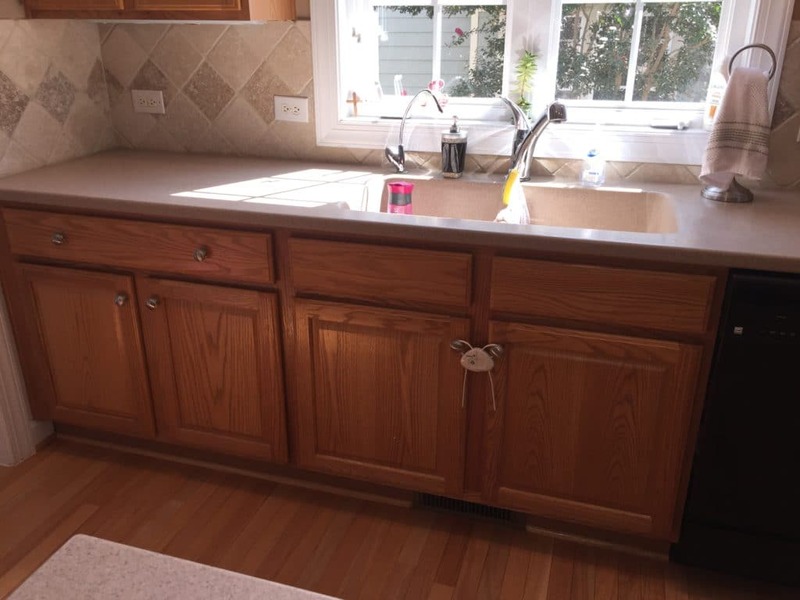 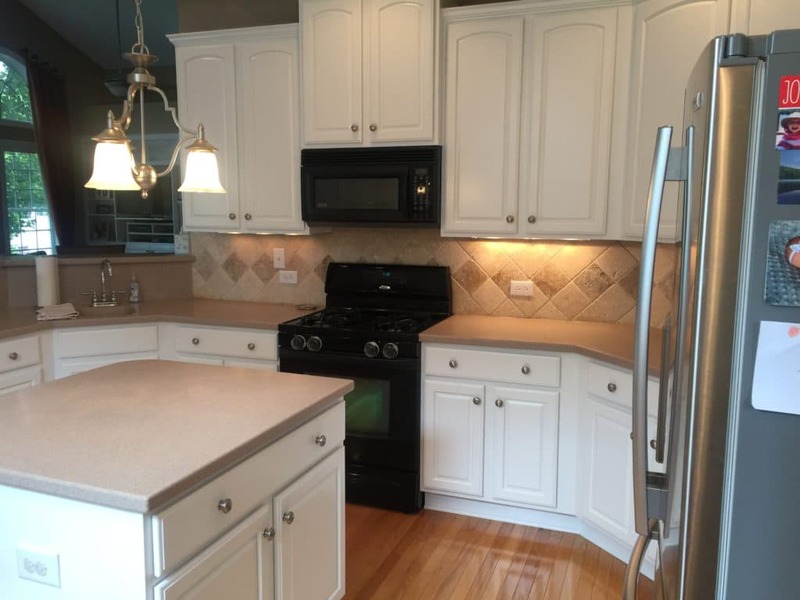 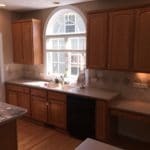 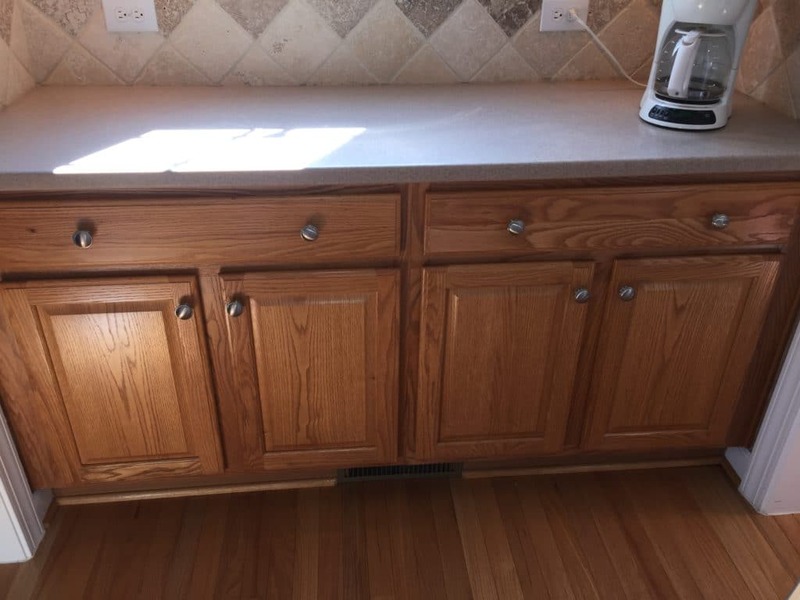 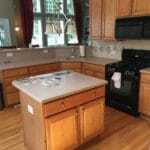 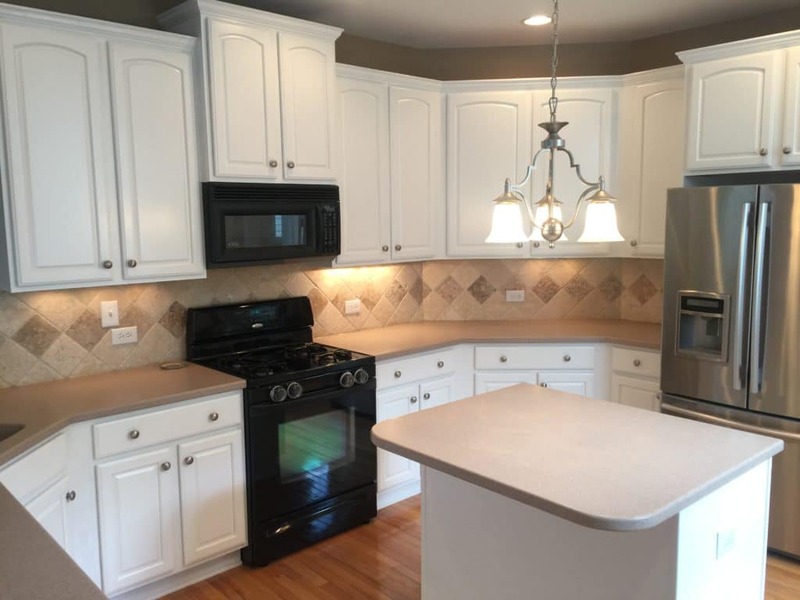 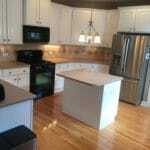 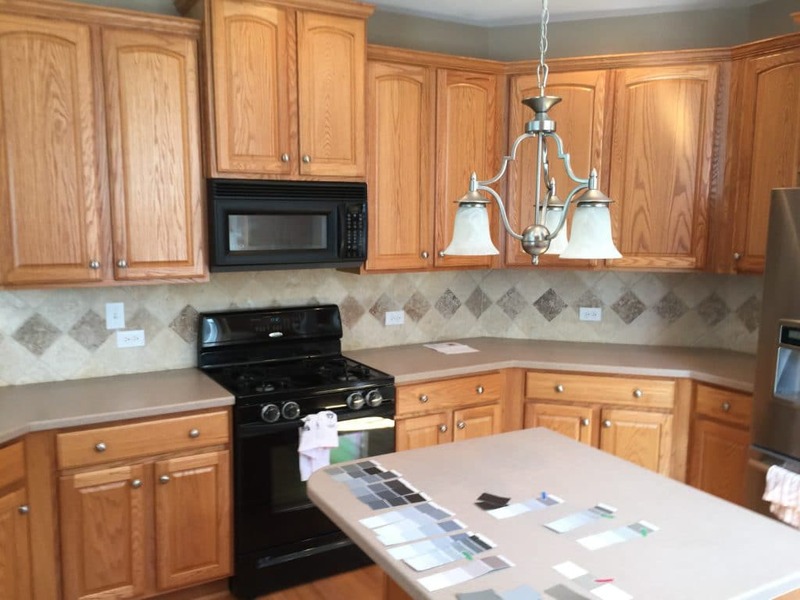 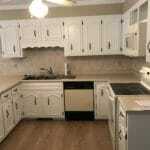 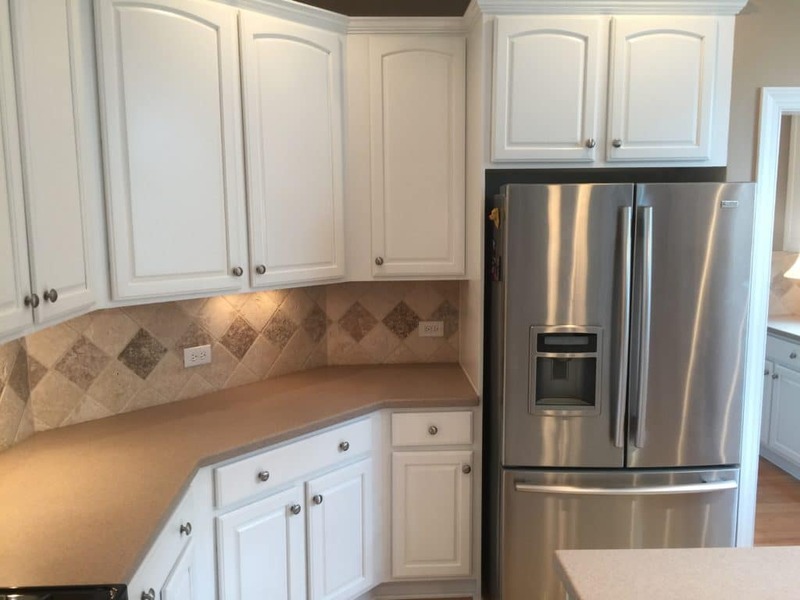 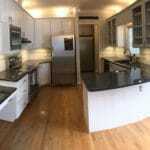 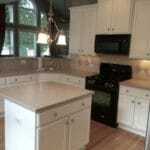 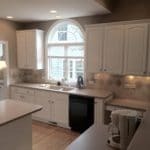 This kitchen was only suffering from 1 thing – bland cabinets. 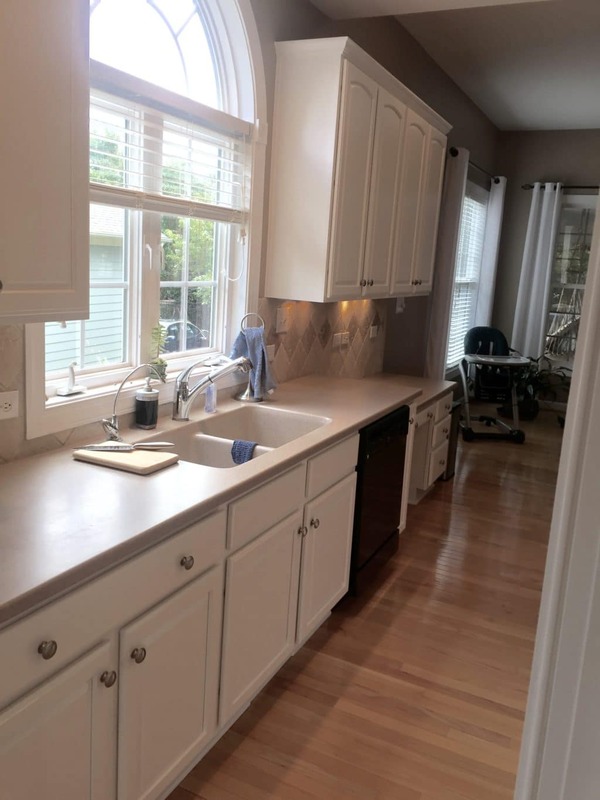 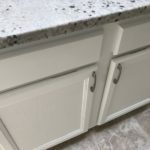 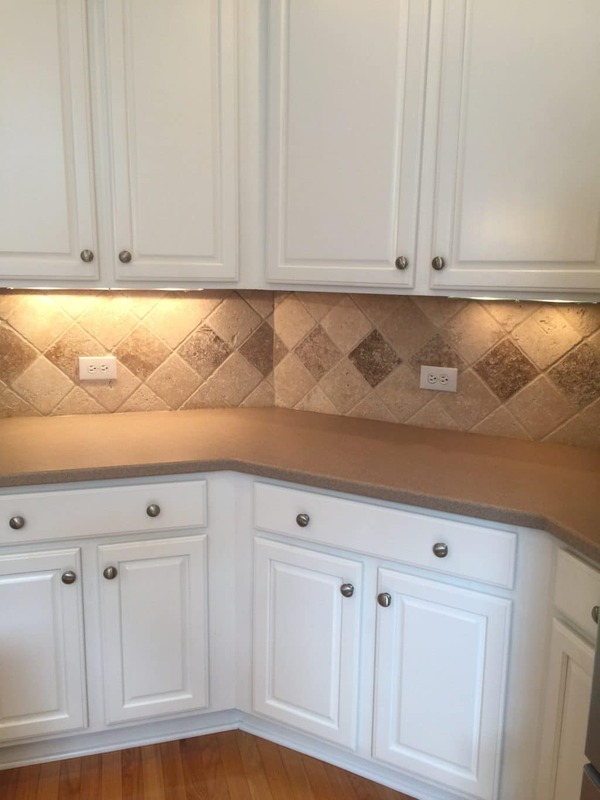 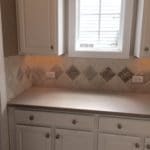 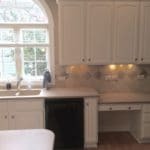 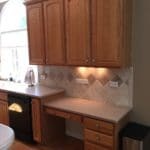 A little paint on the cabinets was all it needed to tie together the sand colored solid surface counters and travertine backsplash. 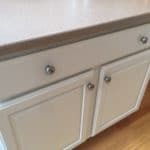 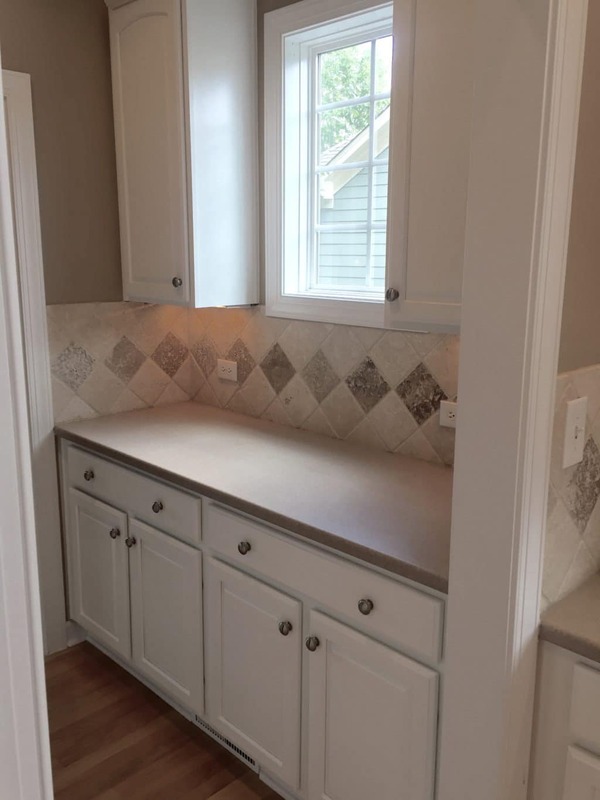 The homeowner went with Sherwin Williams Extra White, to come as close to the existing trimwork color as possible. 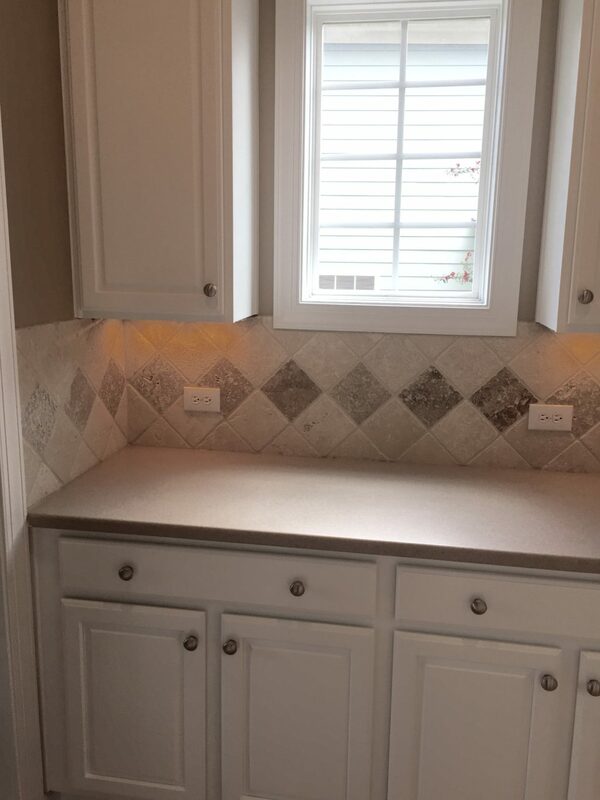 We wanted to make it all flow, from one room to the next. 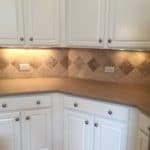 Now the countertops and the backsplash make perfect sense!